As per the petitioner, the writ petition is being filed to defend and protect the petitioners fundamental rights under Article 14 19 and 21 of the Constitution and to defend his right to privacy and the right to live, along with members of his family, in dignity”, the plea said. “The CBI and the ED, as part of political vendetta, have made vexatious searches, issued repeated summons, unreasonably questioned persons for unconscionably long hours, unlawfully attached fixed deposits, maliciously leaked false information to the media and otherwise caused extreme harassment, anguish and humiliation to me and my son, and to other persons who are normal business and social friends of my son"., Chidambaram said in the petition. He also submitted that he and his son have categorically denied any wrongdoing in the Foreign Investment Promotion Board (FIPB) approvals in these cases. “Each and every government officer who has been examined by the CBI/ED has categorically stated that the approvals granted in these two cases were entirely in order. I am the real target of these motivated actions of the CBI and the ED, but the investigating agencies have not accused me or other public servants of any offence in these cases”, it said. He sought the top court's direction to prohibit these two agencies from continuing with illegal probe and acting in any manner causing repeated harassment to him, his son and family members. 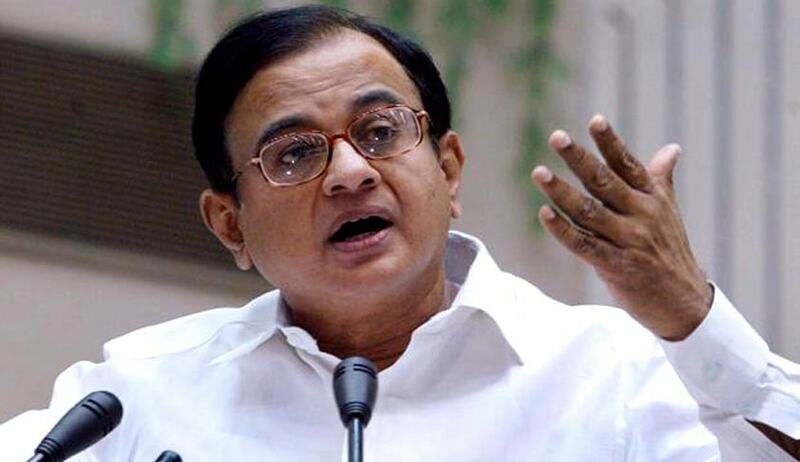 An FIR, filed by the CBI on May 15 last year, had alleged irregularities in the FIPB clearance to INX Media for receiving overseas funds to the tune of Rs 305 crore in 2007 when Chidambaram was the Union finance minister. He also submitted that the constant leakage to the media by the CBI and ED with reference to the farcical investigation being conducted by them in the above cases has harmed his reputation and has violated his fundamental right to live with dignity in the society guaranteed under Article 21 of the Constitution of India. The ED has also registered a money laundering case. (d). A writ, order or direction directing the Respondents that they would not hinder the Petitioner and/or his son Karti P Chidambaram from pursuing what is permissible under the Constitution in terms of lawful occupation or business.